The musical comedy O olmasin, bu olsun (If Not This One, That One!) is an Azerbaijani favourite, well known across the Middle East and former Soviet Union. It was written by composerand playwright, Uzeyir Hajibayov, who wrote Azerbaijan’s first operas. 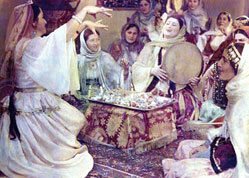 First staged 98 years ago, O olmasin, bu olsun remains an important part of the Azerbaijani theatre repertoire. The musical caught the eye of some early film-makers in the Crimean town of Yalta. They filmed the comedy in 1918, at a cinema workshop owned by Russian entrepreneur Aleksandr Khanzhonkov. They called the film Mashadi Ibad, after its protagonist. came to me with a lot of money, saying that he wanted to make a film. He asked for permission to use the team and the technical staff of the Yalta atelier. He promised to cover all the costs, as he expected to make money from showing the film. I agreed. 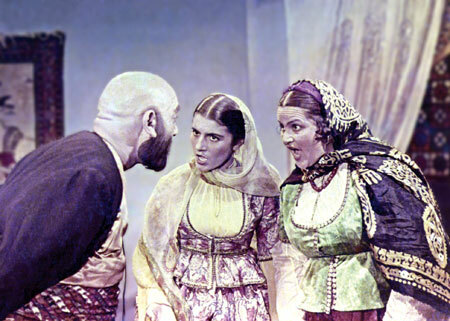 Thirty-eight years after this first effort, in 1956, Azerbaijani film-makers filmed the musical in colour at the Baku film studio. This time called O olmasin, bu olsun, it was a film worthy of the composer. This version has been shown countless times on television over more than half a century. It is popular because it is a love story of two young people, a tale of the victory of love over money lefand ignorance, and the adventures of merchant Mashadi Ibad, who wants to marry the young and beautiful daughter of impoverished aristocrat Rustam bay. Working on the screenplay, dramatist Sabit Rahman was faithful to the original operetta. He changed neither the sequence of events, nor the main ideas nor the rich tapestry of characters and unique style. operetta, especially in the use of sets and design. 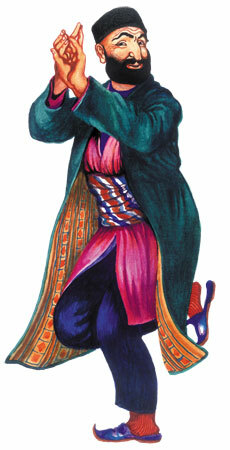 The action of O olmasin, bu olsun takes place in Baku in 1910. 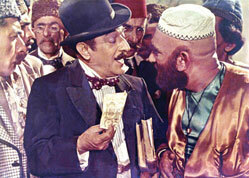 The impoverished Rustam bay loses his last penny gambling and is in debt. He swears to pay off his debts within the hour, but how will he do it? Where will he get the money from? Events start to develop from this point. Rustam bay literally sells his young, beautiful daughter, Gulnaz, to a 50-year-old merchant, Mashadi Ibad. But Sarvar, Gulnaz’s young beloved, kidnaps her with the help and advice of his friends, and Mashadi Ibad is left no choice but to marry Gulnaz’s servant, Sanam. In this way, young people and modern ideas prevail over the old traditions. The director of the film, Huseyn Seyidzada, said in an interview: “Like comedies that have emerged from the history of all nations and at all times, the comedy O olmasin, bu olsun emerged on the basis of meaningful humour and social conflict. The author has worked on a ‘social satire’ with great skill. The essence of this film is realism and only realism. grotesque colour. No doubt only great playwrights can portray life in such a realistic manner. “Now think what a challenge this was: we had a play written for the theatre. First, we needed to translate it into the ‘language’ of a film-maker. Second, we had to make a serious film. The script writer Sabit Rahman coped with the first challenge. He gave the play a cinematographic feel on the basis of its initial dramaturgical structure. For my part, I tried to maintain this feel in the performance of the actors and in assembling the pictures. successful, and Uzeyir’s humour would not have been so meaningful on screen. “I would like to stress the job done by cameraman Alisattar Atakishiyev and our well-known actor, Sidqi Ruhulla. They were very helpful with their valuable suggestions. I would like to speak about the positive impact the cameraman had on the film. He is well versed in the art of filming. Pictures that portray the characters and reveal their passion are interesting and meaningful. For For instance, in some episodes, cameraman Atakishiyev shot Mashadi Ibad from a lower position in order to reveal the ugly face and the ugly inner world of this character… Look at the clothes of the heroes. Atakishiyev paid attention to even the smallest details of clothes worn in the early [20th] century, and these details can be seen in the characters’ dress. happy with the actors invited for the role of porter either. Alisattar Atakishiyev, said he had come across two potential candidates – Aliaga Agayev for the role of Mashadi Ibad and Ahmad Ahmadov for the role of porter – while watching a play at the Young Spectators’ Theatre. Both did very well in the screen test and created colourful, believable characters. Working on the film, the director accepted original suggestions from the actors. The actors were allowed to improvise to a large extent. 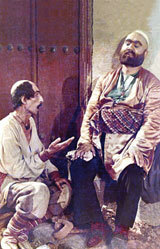 The contributions of actors and director brought greater life and impact to such s as Rustam bay telling Gulnaz his intention give her to Mashadi Ibad Rustam bay quarrelling with his servant Sanam, Mashadi Ibad first visiting Rustam bay’s house, and getting a thorn stuck in his hand when he picks a rose. “I would like to stress that Uzeyir Hajibayov’s works have had a great role in my development as a film director. I have always viewed him as my teacher. The characters Sarvar and Gulnaz were played by Arif Mirzaquliyev and Tamara Gozalova, respectively. Sarvar was Arif Mirzaquliyev’s second cinema role. He had already played the lead in Gorush (Meeting). 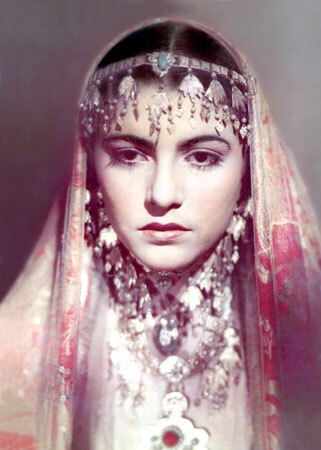 Gulnaz was Tamara Gozalova’s first and last role as an actor. She was in the ninth grade at school when she was offered the part. Some scenes were shot on location in the Old City. Designers J. Azimov and N. Zeynalov did a great deal of work both for the location and studio filming. 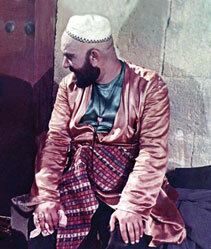 O olmasin, bu olsun was designer Nadir Zeynalov’s first film. He used his sketches for the film as the basis of his thesis at the prestigious All-Union State Institute of Cinematography in Moscow. Reviewers at the time commented on the young designer’s ability to convey the atmosphere of pre-revolutionary Baku in his sets. O olmasin, bu olsun was the first full feature film in colour in the history of Azerbaijani cinema. 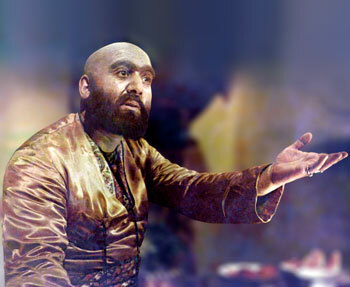 Alisattar Atakishiyev had received training at the Mosfilm studio on shooting in colour and mastered the art. The close-ups and wider-angled shots in the comedy are equally well done. approach to every aspect of the filming process and sought to give meaning to every clip. Otherwise, his films would not have been so well-loved or enduring. O olmasin, bu olsun was shown at an international festival of Asian and African films in 1958 in Tashkent, where it went down very well. 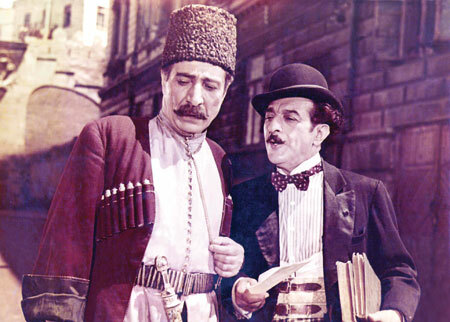 O olmasin, bu olsun got good reviews in most of Asia and the Middle East, but after it was shown on TV in Baku, one Azerbaijani newspaper called it “an unsuccessful film”. blow to director Husey Seyidzada. Howeve neither that nor the jealous attitude of some “ill-wishers” to the film was able to shorten the screen life of Mashadi Ibad. Today O olmasin, olsun lives on althou it was produced half century ago. Masha Ibad still considers himself to be young. He keeps asking: have no idea people say I am old. like a bird, thank God.” This is a film that does not lose its attraction however many times you watch it in the cinema or at home. The marvelous music of Uzeyir Hajibayov and his colourful characters give O olmasin, bu olsun lasting appeal.